*** JUST ADDED ***Give Why You (Prod By Stargate) a spin - it's the latest offering from Ciara, having dropped on Sunday, September 5th, 2010. *** JUST ADDED *** Previous version had lots of tags, this one only has one. This is the next single off "Live From The Kitchen"
Listen to Ciara's new song Speechless (Mastered), which was released on Thursday, August 19th, 2010. Check out Lose My Mind Freestyle, a new track by Ciara, which dropped on Wednesday, August 18th, 2010. Give Gimme That a spin - it's the latest offering from Ciara, having dropped on Thursday, July 8th, 2010. Give Pretty Girl Swag a spin - it's the latest offering from Ciara, having dropped on Wednesday, July 7th, 2010. Listen to Hard In Da Paint (Remix), the new track by Waka Flocka featuring Ciara which was dropped on Saturday, July 3rd, 2010. Official Full Version Remix to Ciara's "Ride". Shouts to Bei Maejor, he doin it big on these remixes and of course Andre also murders his verse. Check out Ride (Remix), the latest track from Ciara, featuring Andre 3000 & Bei Major which dropped on Friday, June 11th, 2010. Check out Ride (Remix), the latest track from Ciara, featuring Bei Meajor & Ludacris which dropped on Monday, June 7th, 2010. Listen to Ciara's new song Get It Girl, which was released on Friday, June 4th, 2010. Give Ride Remix (Official Version) a listen - it's a new offering from Ciara, featuring Bei Maejor & Ludacris. It was dropped on Thursday, May 27th, 2010. 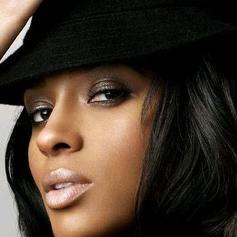 Check out This Is What Love Is, a new track by Ciara, which dropped on Saturday, May 8th, 2010. Listen to Ciara's new song This Is What Love Is, which was released on Saturday, May 8th, 2010. Give I Run It (Prod By Tricky Stewart) a spin - it's the latest offering from Ciara, having dropped on Thursday, May 6th, 2010. Give One More Dance a spin - it's the latest offering from Ciara, having dropped on Sunday, May 2nd, 2010. Bump How Low (Remix), the latest cut from Ludacris featuring Ciara, Chris Brown, & Dada on the assist. It was released on Saturday, May 1st, 2010.